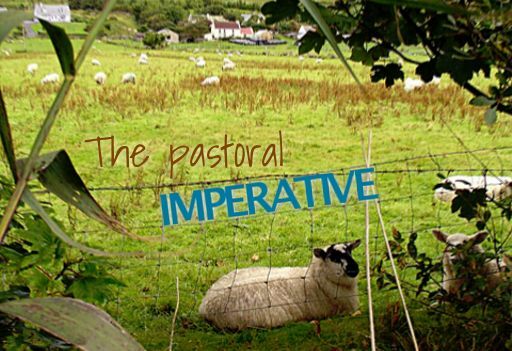 The Goal of Pastoral Teaching: Dependence or Independence? Every week tens of thousands of pastors give messages to millions of people. And then they do it again the next week. And the next. And the next. The cycle repeats as it has year after year after year. But why? How many of these pastors are actually aware of what they are supposed to be achieving? What is, in fact, the goal of pastoral teaching in the church? Ephesians 4:11-12 describes various roles and gifts given to the church, including the pastor (poimen, shepherd) and teacher (didaskalos). Note from the passage that the pastor and teacher are not two separate roles—the pastor is also a teacher. While there are teachers in the church who are not pastors (e.g., every believer, see Col. 3:16), there is no Biblical model of pastors who are not teachers. So, pastors are supposed to teach. But what and why? In order to understand the what, we first have to consider the why. Ephesians 4:12 makes the why very clear: for the equipping of saints, to the building up of the body of Christ. Notice that the teaching itself doesn’t equip the saints, but rather it is intended for (or to) the equipping of saints. Pastoral teaching is for the equipping of saints, but it isn’t the equipping of saints. In other words, the goal of pastoral teaching is so that saints are equipped, but the saints are actually equipped by something other than pastoral teaching (Heb 13:20-21). Paul explains in 2 Timothy 3:16-17 that all of God’s word is the vehicle for the equipping of saints (same root, artizo, is used in Eph 4:12, 2 Tim 3:17, and also Heb 13:21). God’s word is profitable for teaching, for reproof, for correction, for training in righteousness in order that the follower of God may be equipped or made adequate for every good work. If the reason for pastoral teaching is the equipping of saints, and the vehicle God provided for the equipping of saints is His word, then what should pastors be teaching? Very simply, pastors should be teaching His word. Anything else is a waste of time and resources. I will never forget once walking into a “Bible church” in the Chicago area. The pastor had been trained at a highly regarded local Bible institute, and we expected him to teach the word. The introduction to his message went something like this (verbatim, as I recall it): “Next week we will get back into the word of God, but this week, I wanted to share some of my own thoughts that I have had this week.” During his opening prayer, we snuck out quietly and never returned. Is there anything wrong with sharing personal thoughts? Of course not, but there is a time and a place for everything. Pastors don’t have the freedom to choose their teaching material. It is the word of God, and nothing but the word of God. If a pastor is not attentive to the why and the what, he is in grave danger of falling into the trap that is, I believe, the greatest affliction to churches: teaching for dependence. Or, phrased differently, if pastors are not focused on teaching Biblically, then they are most probably developing a cult of personality that is enslaving their listeners rather than freeing them for growth and maturity. In 2 Timothy 2:2 Paul tells Timothy to “entrust these things (the teachings of Paul) to faithful men who will be able to teach others also.” The goal in this context is replication—that those who are taught be able to teach others. If we simply sermonize, we are hiding the exegetical process from our listeners. We are not showing them how to study and learn the Bible for themselves. We are telling them how to think, speak, and act, without showing them how to discover those things for themselves. We are feeding people for a day and teaching them that they can’t fish—that they have to come hear us every week if they should get hungry. This is the equivalent of parents trying to keep their children dependent on them for their entire lives. We would consider that child abuse. So what do we consider it when we do that same thing with respect to spiritual parenting? Instead, pastors, when we stand before the folks He has entrusted to our care, let us teach the word. Let us teach in such a way that our listeners will develop an understanding of how to handle the word—so that they grow to be independent of us, and so that they will develop the ability to teach others the word of God. Let’s stop all the rhetoric and simply do what we are told to do—teach His word. Teach for independence, not dependence.